Please call 204-775-3869, or e-mail vccmanager@mymts.net to apply for either position. Part-time (1.5 hours per day, 11:30 am to 1:00 pm), Monday to Friday, September to June. Full-time (7.5 hours per day), Monday to Friday. 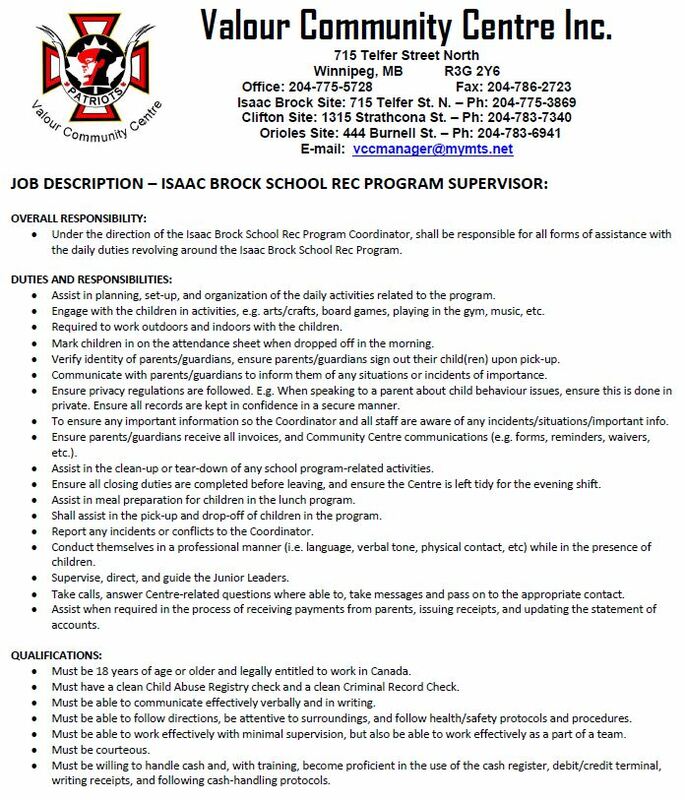 Please see the full description of the position below. To serve the whole community by providing inclusive programming and accessible facilities in a safe environment. A community hub with something fun for everyone.